Calluna Euving is the Secretary General of the University of Amsterdam (UvA), and is our host for HUMANE’s Spring Seminar. 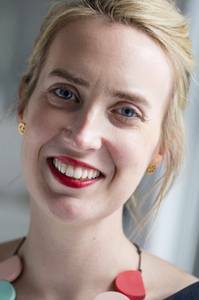 Calluna’s international career has involved working in senior roles in various institutions of higher learning, but also other public organisations in the Netherlands and abroad. The secretary general of the UvA is, among other things, responsible for the Executive Staff, for providing support to the Executive Board, for the UvA’s integrated safety, and acts as a bridge between the Executive Board and the faculties. Prior to taking up her current post, Calluna was the Director of Finance and Operations at the Office of the Quartet Representative in East Jerusalem, the organisation set up to support Tony Blair's role in the peace process. Prior to this, she was chief of staff of the Mathematical Association of America and Centre Administrator at the BMW Centre for German and European Studies at Georgetown University in Washington D.C. Before moving abroad, she held various posts at Delft University of Technology. 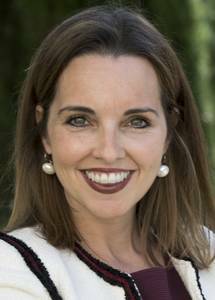 Calluna studied political science at Leiden University and did an Executive MBA at Georgetown University. When faced with the question of what constitutes “talent” in one’s organization and how it should be “managed” (if that is at all possible), those in charge need to ask themselves at least four questions: (1) do we believe talent is rare, or prevalent in our population? ; (2) do we believe talent can be developed, or that it has a rather stable or innate quality? ; (3) do we believe the criterion for talent identification should be input or output? ; and (4) do we believe that talent is transferable (i.e., can be bought on the market), or that it is strongly context-dependent? The answers to these four questions combined form what we call a manager’s talent philosophy, and create a framework for identifying HR-practices fitting this philosophy (for instance: if you believe talent is largely innate you should invest more in talent identification than in talent development). The more considered and consistent the talent philosophy of an organization’s key talent management stakeholders, the more likely that desired outcomes can be achieved. In this session, Nicky Dries will guide participants through 15 years of empirical research on talent management, focusing specifically on talent philosophies and on employee reactions to different types of talent management practices. Nicky Dries is a Research Professor (i.e., tenured Associate Professor with a focus on research—BOFZAP) at the KU Leuven, Faculty of Economics and Business (Belgium), and an Adjunct Professor (i.e., Visiting Appointment of 20%) at BI Norwegian Business School in Oslo, Norway. She is also a Research Fellow at Vlerick Business School (Belgium). She conducted her doctoral research on talent management and (subjective) career success at the Vrije Universiteit Brussel (Belgium), during which time she was also a visiting scholar at the Vrije Universiteit Amsterdam (the Netherlands). She obtained her doctoral degree in December of 2009, after which she took up a postdoc position at the KU Leuven. 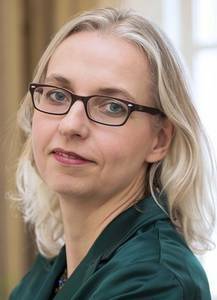 She has been a visiting scholar at University of Tilburg (the Netherlands), Wirtschaftsuniversität Vienna (Austria), Reykjavik University (Iceland), IESE (Barcelona), TUM München (Germany), and University of Victoria (Canada). In addition, she was a postdoctoral Fulbright Scholar at Boston University School of Management (US) in 2012. Nicky was an Associate Editor at Applied Psychology (APIR) until 2019, and is or was on the editorial boards of Journal of Vocational Behavior (JVB), Journal of World Business (JWB), and European Journal of Work and Organizational Psychology (EJWOP). 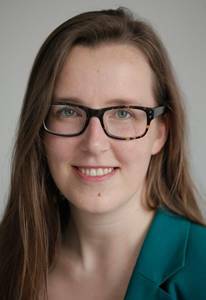 She is an evaluator for the Research Foundation-Flanders (FWO), as a member of Expert Panel G&M3 (Psychology). In 2016, Nicky was selected to be featured on AcademiaNet, the European database of leading women in science. Nicky’s primary research interests are talent management, untapped employee potential, and the future of work—and more broadly, employee reactions to organizational inequalities, secrecy, and ambiguity. She is an active member of the two largest cross-cultural projects in career studies, i.e. 5C (Consortium for the Cross-Cultural Study of Contemporary Careers) and the Career Adaptability/Life Design project. She is frequently invited to lecture nationally and internationally, both in the academic and the business world. Are you ready to lead in order to create a roadmap for the success of the talent from your institution? Given the strategic relevance of academic institutions’ overall missions and goals, it is important that the professionals and staff are equipped to liaise with and effectively cater to the key stakeholders, including students, alumni, faculty and other departments from the institutional side, and companies and organizations from the corporate partner/recruiter perspective. What does this mean for Human Resources divisions in higher education and your role? The objective of the session is to gain an understanding of future trends and challenges in talent acquisition and talent management, including from other relevant industry sectors, and how they apply to higher education, allowing you to plan, manage and achieve your institution’s goals. There will be a focus on accelerating the matching of top global talent with the opportunities in your institution. Considered one of the foremost references in Employability and the Future of Work on a global scale, Dr. Amber Wigmore Álvarez is Chief Innovation Officer (CIO) of Highered EFMD Global Career Services. As CIO, Amber spearheads the sales, marketing and network development, while taking the role as global thought leader in student placement, introducing Highered to corporate recruiters, providing schools and organizations with insight for data driven decisions and strengthening Highered’s positioning as the global leader in placement. Amber brings more than 8 years of experience from the world of global career services at top-ranked IE, where she was Executive Director of Talent & Careers. Amber teaches career topics such as executive presence, body language and salary negotiation. She conducts workshops for HR professionals worldwide on topics including succession planning, diversity and gamification for recruiting. Amber moderates panels in more than 30 countries and has been quoted in numerous publications, including the Financial Times, Bloomberg Businessweek, CNN, Expansión, El País, El Economista, Forbes and Elle. As a Doctor of Economics and Business Science, Amber’s research is focused on University Social Responsibility (USR) and business ethics. She holds an International MBA from IE, as well as a BA in Hispanic Studies and International Economics from Wheaton College (Norton, MA, USA). A core value and need of talented professionals is “autonomy”. Hence the paradox of managing such talent. It is not only counterproductive, it even ‘kills’ their passionate engagement. But the challenge remains: how to give direction to knowledge workers and maximize their contributions, while respecting their autonomy and enhancing their engagement? The case presents how this paradox is handled at imec, a global research organization on nano-electronics. ‘Vision and model’ are illustrated with realistic and effective talent processes. Until January 2017, Hubert oversaw Human Resources management at imec, a leading international R&D-organization, specialized in research in the field of nanotechnology. Imec counts approx. 3500 staff members originating from more than 70 different countries, and is active in 7 countries (US, Europe, Asia). Hubert is a real HR expert. He has more than 30 years of experience in Human Capital Management focusing on improving organization and people performance while designing and implementing leading HR solutions. He is highly valued because of his expertise as coach and counsellor of executives in organizations. He is also a pioneer and specialist in the design and successful implementation of technological solutions for HRM (e-HRM). During the first two decades of his career, he was leading a centre for university education (KU Leuven, Belgium), doing academic research on instructional quality as well as delivering educational programs to university teachers. He is a recognized leading HR professional and regularly invited as a guest speaker at HR conferences in Europe. 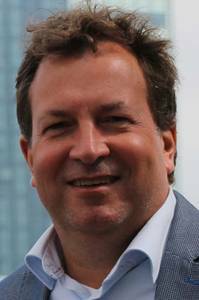 He is also a faculty member at Leuven University Association (Odisee Brussels) and guest lecturer at the Vlerick School of Management (Gent-Leuven). 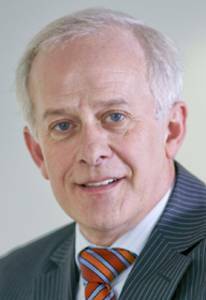 During his career, he was recognized on several occasions for his excellent solutions and services ranging from the European HR Award for Excellence (2000) and Belgian awards in the domain of e-HRM and Talent Development (2002 and 2004), to the Fellowship of the Hogenheuvelcollege at KU Leuven for excelling in the implementation of the scientific management principles. Effective talent management systems supported by professional People Management and Organisational Development functions in universities and other knowlege-intensive organisations, requires the collective leadership of institutions to be skilled in adaptive leadership. This session will discuss in particular, preferred communication styles and adaptive leadership, as a means of supporting and motivating 'knowledge workers'. Participants will learn techniques to adapt and more effectively convey their message to colleagues, clients, and people in their personal lives. As managers of teams with a mix of different personalities, we will explore some specific steps to improve working relationships as well as expanding your ability to influence those you currently find most difficult. Daniëllo Boszhard is a Professional Coach and Sales Consultant with over 20 years of experience in organisational, life and career coaching, and in Executive Recruitment & Staffing. He trains, coaches and give workshops and organise industry events. He offers evidence-based programs and methodologies. He chooses the programs in close cooperation with hisclients on the basis of practical experience and knowledge of the organisation itself. Since taking on the role of Director of OD at UCL 1 year ago, the division has been through substantial change in order to realign to the needs of the institution. There is now pressure to justify the new size and shape of OD at UCL vis a vis other university’s offerings. This session will provide a case study of the recent evolution of OD at UCL. What OD support do our institutions need? What is the purpose of staff training? Where is the right home for OD? Are we wasting time and money by working in parallel? As Director of Organisational Development at UCL, Alice has transformed the OD function from a staff training focus, to a fully functioning strategic team. She has won awards for her ability to bring people together, creating alignment, cohesion and action, most recently in 2017, she was awarded the Gareth Williams Prize for her work on communities of practice. Prior to UCL, Alice was the Director of Development at global leadership consultancy, Oxford Leadership Academy which specialised in aligning people, culture and strategy through leadership development and culture work. During that time, Alice led relationships with C-Suite executives and teams from numerous FSTE 100 companies, including McDonalds, Sandvik, BASF, Unilever as well as global non-profits such as the Girls Scouts of America and the British Red Cross. Alice established the US branch of the Oxford Leadership Academy in San Francisco in 2010, setting up operations, key client accounts and recruiting and training a network of consultants. Since working in Higher Education, Alice recognised a needs to accelerate gender equality across the sector, and founded WHEN, a national network to unite women from all levels, roles and backgrounds with the aim of speeding up change. Performance management and development in universities is a multilayered topic with very few “right answers”. The purpose of this session is to explore the topic from multiple angles and inspire discussion among the participants. 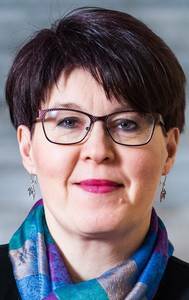 Riitta Silvennoinen, MSc (Econ. ), MBA, is responsible for Aalto University’s human resource management and people practices. Before joining Aalto she worked over 20 years in ICT industry, the latest position being Nokia's VP, Global HR Center of Expertise. She has extensive experience in strategic HR management roles in a multinational context. After serving 10 years as King's College London's Senior Vice-president Operations & College Secretary, Ian now holds a portfolio of roles including Strategy Consultant for HUMANE. Prior to King's, he held similar chief operating officer roles at City University London and before that, the University of Adelaide. The first part of his career was in the Australian Public Service where he rose early on to become a member of the Senior Executive Service. 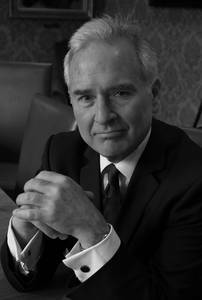 Ian is also an experienced non-executive having served on the Board of King's Health Partners, the Council of Governors of an NHS Foundation Trust, and the audit committee of the British Academy.